Kantakari, also known as Indian Solanum, is a prickly, branches perennial herb. The branches are densely covered with minute star-shaped hairs. The plant has yellow, shining prickles of about 1.5 cm in size. it has very prickly, sparsely hairy, egg?shaped leaves; purple flowers, round fruit, yello colour with green veins and numerous smooth seeds. The fruit of the plant. constitutes the drug. Kantakari is indigenous to India. The plant occurs throughout India, often in waste land , on roadsides and in open scrublands. The fruit of the plant yields carpesteral, glucoside-alkaloids and solanocarpine. It also yields glucoside-alkaloids, solamine-S. On hydrolysis it yields alkaloid solanidine-So. The root is one of the important medicinal ingredients used by the physicians of Ayurveda, who use it to treat several common ailments. The drug is bitter in taste and a mild purgative. Experiments have shown that the fruits and shoots of the plant possess antibacterial properties. Kantakari is useful in clearing catarrh and phelgm from the bronchial tubes. It is therefore used in the treatment of respiratory diseases like asthma, bronchitis and cough. The herb can be used to treat constipation and flatulence. It strengthens the stomach and promotes its action. It corrects disordered processes of nutrition by which the organism ingests, digests, absorbs, utilises and excretes food substances and restores normal function of the system. The drug also possesses anthelminitic (worm destroying) property and is useful in eliminating intestinal worms. Kantakari is useful in the treatment of dropsy, a disease marked by an excessive collection of. 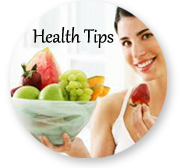 a fluids in the tissues and cavities or natural hollows of the body. The drug helps increase the secretion and discharge of urine. 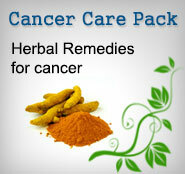 The herb is especially useful in throat disorders like sore throat and tonsilitis. An extract of the plant should be used as a gargle in such cases. This is prepared by continuously boiling the plant in about 2 litres of water after washing it thoroughly, till it reduces to half its volume and it should be filtered. The extract of the plant, prepared as for throat disorders, is also very useful in gum diseases. For better results, black mustard should be boiled along with the plant. The root of the plant has been traditionally used in snake and scorpion bites. A paste of the root .can be prepared by grinding it on a stone with lemon juice and applying to the affected part. The patient should be taken to the doctor immediately. The drug is also useful in treating several other diseases like heart disease, chest pain, certain types of fever, muscular pains, gonorrhoea, dysuria, enlargement of the liver and spleen and stone in the urinary bladder. The fruit of the plant is also considered useful in treating sore throat, bronchitis, muscular pains and fevers. Dosages: The herb can be used either in the form of confection, decoction or juice. The decoction is taken in doses of 15 ml to 60 ml. The juice is taken in doses ranging from 2 ml to 8 ml. Tender leaves and fruits are eaten as a vegetable after cooking.